The long-running support of Caltex Australia for the Liqui-Moly Bathurst 12 Hour continues in 2017, with the company confirmed today as continuing its status as official fuel partner and sponsor of the iconic Caltex Chase. The local fuel retailer will play an integral part in the 2017 Liqui-Moly Bathurst 12 Hour, an event that forms part of an expansive motorsport portfolio for the company which also includes support of household names like Craig Lowndes. Caltex’s Executive General Manager Commercial Bruce Rosengarten said for years Caltex Australia has been part of the Australian motorsport community, and is thrilled to be back again as the official fuel partner of this world class event. 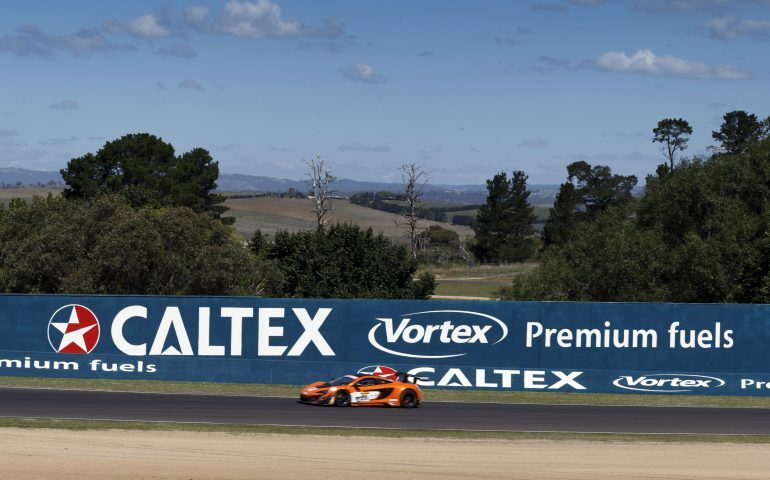 “Vortex is Australia’s most popular premium fuels brand, and it will be powering the world’s biggest names in motorsport as they take to the track for the Bathurst 12 Hour,” said Mr Rosengarten. “As the first major racing event of the year, we’ve chosen the Bathurst 12 Hour to feature the first glimpse of our bold new Vortex premium fuels brand look and feel, where we’re calling for people to Get Vortex Fit. Tickets and Camping packages remain on sale for the event and are available via the official event website, www.bathurst12hour.com.au. Race day general admission tickets start at just $35 while limited seats are still available in the two grandstands – including the new covered stand, with its own big screen, set up on the exit of turn one. Additionally, VIP Parking spots remain available: Fans will be able to park their car at the front gate of the Liqui-Moly Bathurst 12 Hour event for a single day, the weekend, or all three (3) days knowing that during the operating hours of the Event, the Promoter will provide designated security. Not only does it mean a secure parking option for your vehicle, but also a shorter walk to the action! VIP Secure parking passes start at $20 and can be purchased at Ticketek.